Avoid the desert heat and enjoy Utah's beautiful Moab region from the comfort of your own car with this easy to follow scenic road trip. As you map out your family’s scenic cross-country road trip, be sure to include a drive through Utah’s breath-taking Moab region. Home to high arches, picturesque canyons and mountainous horizons, this southeast Utah desert offers both well-paved roads and scenic byways with views that are sure to excite everyone on board. Be sure to pack plenty of water and plan to make stops along the way. Coming into Moab, it is recommended that you take I-70 to Scenic Byway 128 as it runs along the snaking Colorado River. While the byway does possess a number of tight turns that will require the driver’s full attention (and may cause quesy stomachs for those in the backseat), the road straightens out not long after crossing the Colorado River at the notable Dewey Bridge site. Built in 1916, Dewey Bridge was once the longest suspension bridge west of the Mississippi River before being destroyed by a 2008 brush fire. While historians and architects debate over how to rebuild the bridge, you can still admire the ruins in passing. As you ease into the scenic stretch of road that follows the Dewey site, notice the magnificent Fisher Towers and Castle Rock to your southwest. These tall red rock desert spirals are the settings of many famous films and commercials. As you reach the Castle Valley Junction, Byway 128 rejoins the Colorado River for another series of curves before entering the city of Moab. If you schedule is flexible, consider taking the 60-mile LaSal Mountain Loop Road which begins at the Castle Valley Junction. This route starts off with a series of swift turns before opening up to a stretch that offers a wonderful view of the famous Priest and Nuns rock formation. You’ll be amazed by how much this natural sand stone structure really does resemble an assembly of nuns following their pastor. After another set of winding turns through the edges of the stunning LaSal mountain range, you will descend into Moab heading north on highway 191. In order to take full advantage of the region’s scenic drives, your family may want to spend a night or two in town. Whether you enjoy camping, the charm of a bed & breakfast or the comforts of a hotel, Moab offers a diverse number of accommodations that will match an array of budgets. With rooms starting at $130/N, downtown Moab’s Best Western Greenwell Inn offers affordable lodging and adventurous excursion packages. 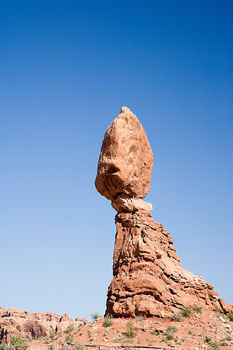 For parents in need of some pampering and rejuvenation, there are two comprehensive resorts in Moab’s immediate area. The Red Cliffs Lodge (436/259-2002), where 2010 rates begin at over $200/N, boasts a spa, athletic courts, ATV and horseback tours, a movie museum and even its own winery. The Sorrel River Ranch (977/395-2715) offers a full-service spa, fitness classes, and fine dining at the Sorrel River Grill. With rooms starting at just under $400/N, Sorrel provides the area’s most luxurious lodging and will likely appreal to the multi-generational traveler. 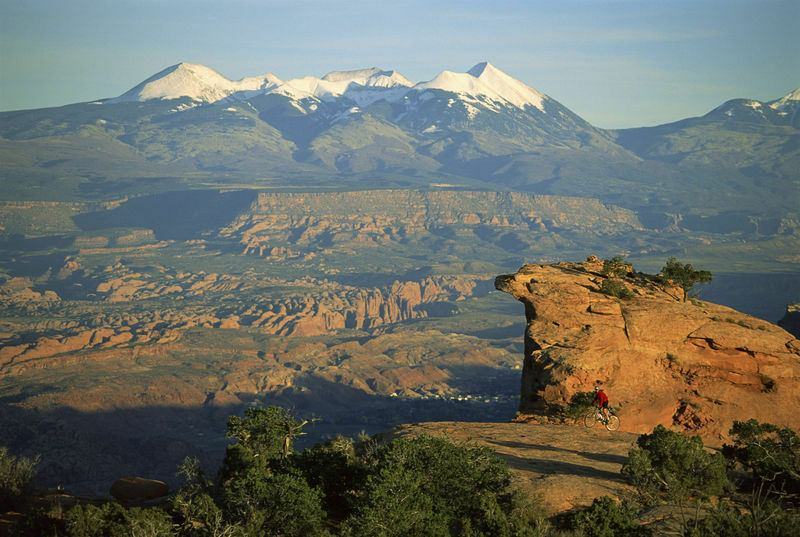 Moab is also home to a number of engaging annual events including a monthly art walk, the Canyonlands PRCA rodeo as well as a series of outdoor concerts at Old City Park. Before you arrive, be sure to check Moab’s official tourist information website, Discover Moab for a complete up-to-date listing of events in Moab and surrounding areas. A number of shorter drives are easily accessible from your basecamp in Moab. Families will love the 22-mile ride north to the Arches National Park, home to Balanced Rock, Sheep Rock and Parade of Elephants. Puzzle yourselves over how these mysterious natural sand stone formations really do resemble their given names! 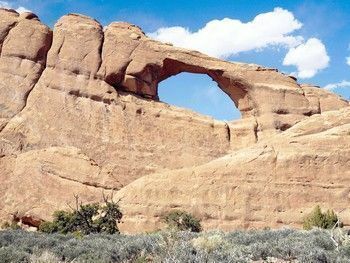 In addition to these mysterious structures, it will be impossible to miss any number of the stunning natural arches from which the park derives its name. 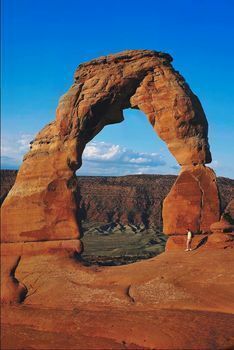 Arches should be visited during the afternoon as the desert sunset lends itself to an unforgettable drive back to Moab. Another short ride from Moab runs along the Potash-Lower Colorado River Scenic Byway 279. This 17-mile route gives families the opportunity to drive along the many canyons created by the Colorado River. Families with younger kids should take advantage of this shorter drive as gives everyone a chance to stretch and explore the route’s ancient Native American stone paintings and prehistoric fossils at any one of the Byway’s marked pulloffs. As you leave Moab, be sure to include highway 191 into your family’s exit itinerary. Just nine miles north of Moab you will find Utah Highway 313 which provides exclusive access to Dead Horse Point State Park. Families won’t want to miss the picturesque views of Dead Horse Point, a beautiful mesa that sits isolated from the surrounding cliffs by a lush bend in the Colorado River. Heading back towards highway 191 on Utah Highway 313, consider exploring Canyonland’s National Park. 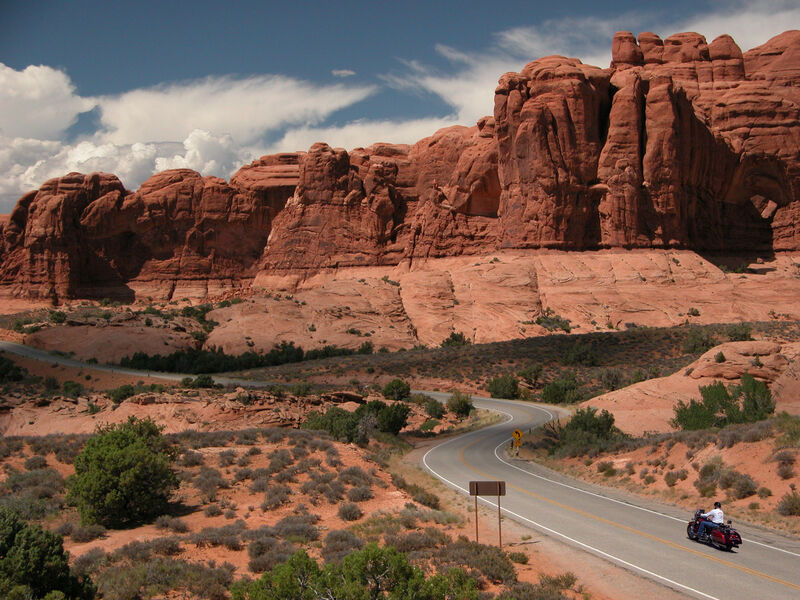 The park’s Island in the Sky district offers a number of winding but rewarding roads through some of Utah’s most expansive canyons and impressive desert vistas. 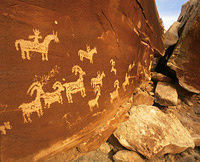 For parents hoping to add a fun scientific and historic element to their time in Moab, contact the Moab Field Office. You will be provided with maps and guides to a number of real Jurassic dinosaur track sites! As there are no guards or guardrails, we caution you to tread lightly so as to not destroy these precious resources.